We’re excited to announce new backsplash options in our bathrooms and kitchens, as well as included granite in the bathroom! For about a year our homes have included granite countertops in the kitchen, and now they will also be implemented in the bathroom! 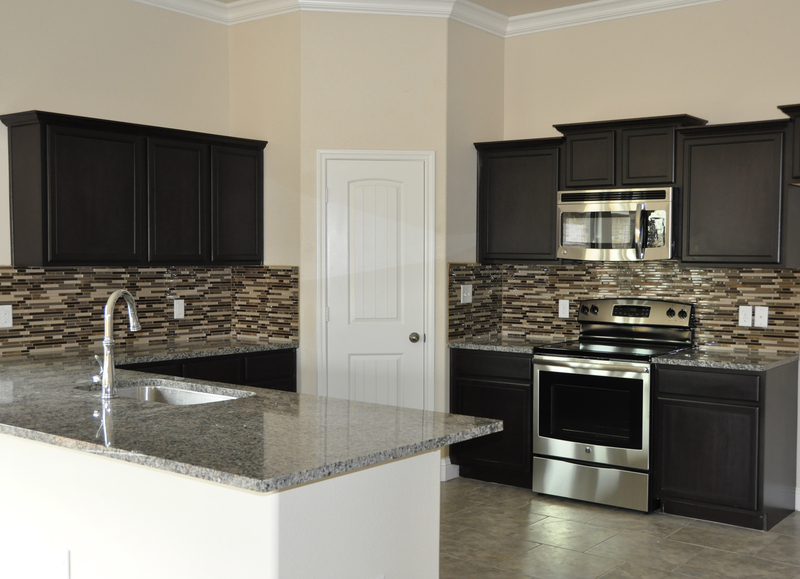 In addition, a 4″ Travertine stone backsplash will be included in the kitchen and bathroom. Garden tubs will also have an 8″ Travertine stone backsplash. So what if you want to upgrade? 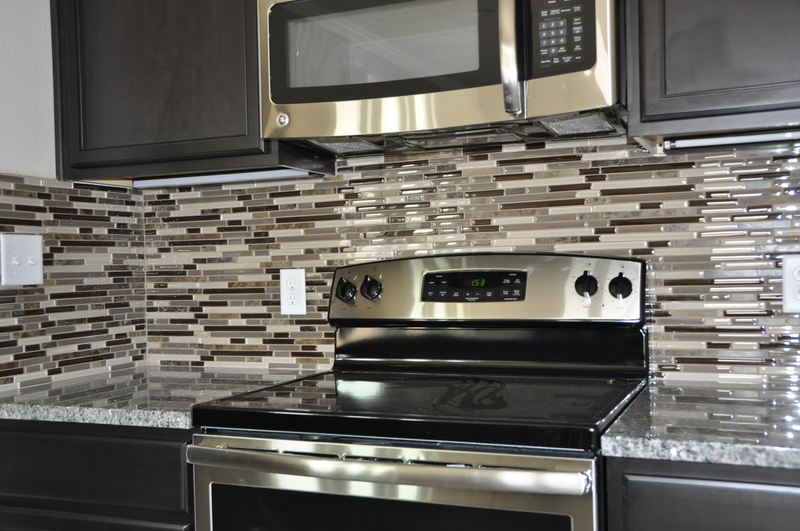 Home buyers now have the option to upgrade to a full Travertine or glass backsplash. The new 2050 KP floor plan featuring a full glass backsplash. We are excited about this new option and know our home buyers will be as well! Contact a sales team member to get more information on specific colors or patterns.